« March K4 Tap Takeover at Pepi’s! 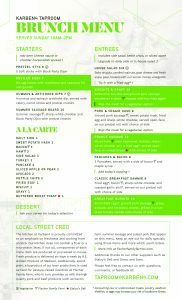 From 10am – 2pm, our little kitchen is dedicated to your Brunch Lifestyle. Grab those other brunch enthusiasts and swing on by.